Frank received his Bachelor of Science and Physician Assistant Certification from Trevecca Nazaren University in August, 1997. He received his Master of Physician Assistant Studies from the University of Nebraska in May, 2002. 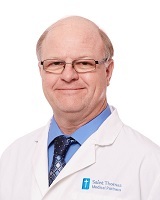 He works with Dr. Steven Payne for Saint Thomas Medical Partners at 1015 North Highland Avenue in Murfreesboro in Internal Medicine. He enjoys the challenge of diagnosing and treating patients to improve the patients' quality of life. Frank is also very active on the Tennessee Academy of Physician Assistants' Board of Directors and participates yearly in medical/humanitarian missions to Honduras through Smyrna Church of Christ. He is married to Dr. Matha Adams Warren, DVM and they enjoy life on their Angus cattle farm. Yearly medical/humanitarian missions to Honduras through Smyrna Church of Christ. Master of Physician Assistant Studies: University of Nebraska, May, 2002.